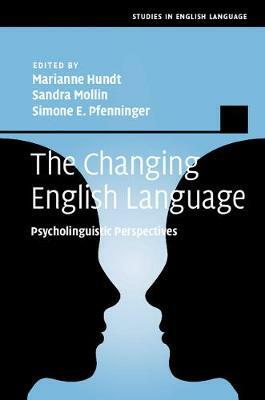 Author(s) Hundt, Marianne; Mollin, Sandra; Pfenninger, Simone E.
Bringing together experts from both historical linguistics and psychology, this volume addresses core factors in language change from the perspectives of both fields. It explores the potential (and limitations) of such an interdisciplinary approach, covering the following factors: frequency, salience, chunking, priming, analogy, ambiguity and acquisition. Easily accessible, the book features chapters by psycholinguists presenting cutting edge research on core factors and processes and develops a model of how this may be involved in language change. Each chapter is complemented with one or several case study in the history of the English language in which the psycholinguistic factor in question may be argued to have played a decisive role. Thus, for the first time, a single volume provides a platform for an integrated exchange between psycholinguistics and historical linguistics on the question of how language changes over time.